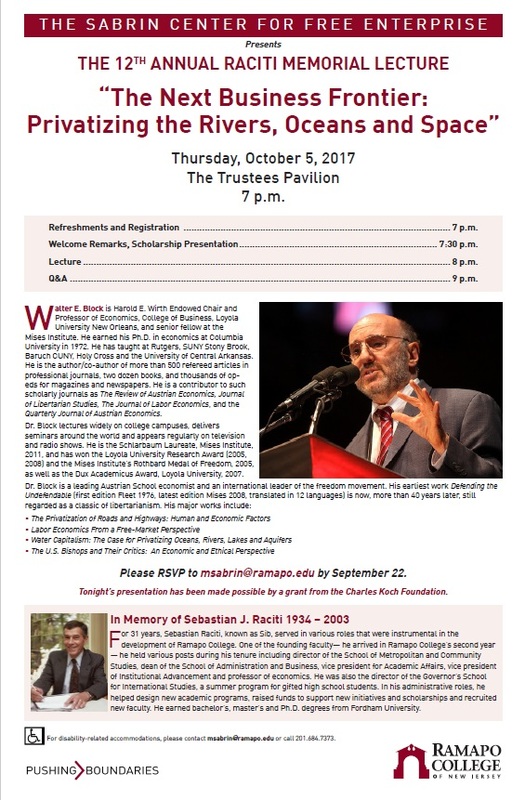 Long time Austrian School economist and libertarian theoretician Walter Block will deliver the Raciti Memorial Lecture on October 5, 2017. His lecture is titled: "The Next Business Frontier." To attend the event, please register in advance. Professor Block's lecture is hosted by Ramapo's Sabrin Center for Free Enterprise.